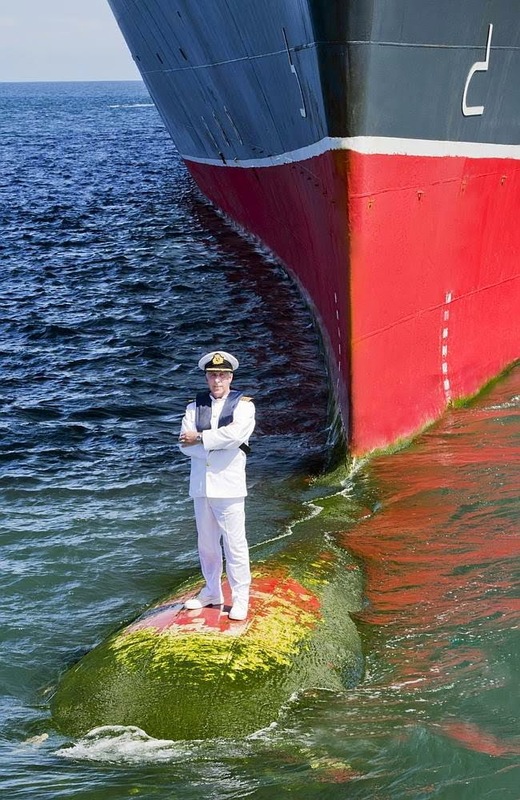 When photographer, James Morgan asked the skipper of Queen Mary 2, Captain Kevin Oprey if he would pose for a photo in front of the vessel's bow, he didn't quite have in mind the security of standing on a nice safe wharf. 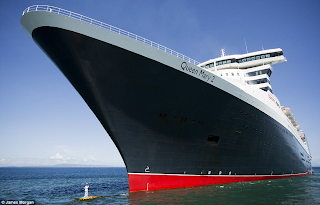 And while Captain Oprey readily, and bravely, agreed it took some weeks of planning to achieve, and some hours on the actual day for sea conditions to be perfect for him to step out of a small boat and onto the bulbous bow. Two safety boats were also on hand throughout the photo shoot. Sydney-based photographer Morgan says that when he first proposed the idea, "people looked at me like I was a tiny bit mad. But the fact something like it had never been done before, was why we had to do it… and Captain Oprey came through unscathed and with flying colours." The photo will be used as part of tenth anniversary celebrations of the launch of the 151,000 tonne Queen Mary 2 in May 2004.